In September 2017, Puerto Rico was hit with a Category 5 hurricane. Regarded as one of the worst natural disasters recorded in Puerto Rico, Hurricane Maria caused catastrophic damage. It destroyed countless homes. It left the entire country without power and limited access to food and potable water. The U.S. territory is undergoing a humanitarian crisis. 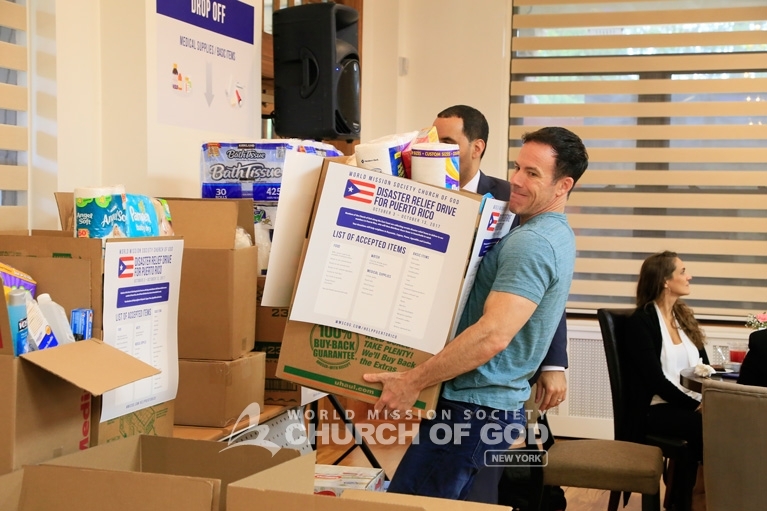 All the New York churches of God participated in a multi-state effort along the East Coast to provide relief to our fellow citizens. 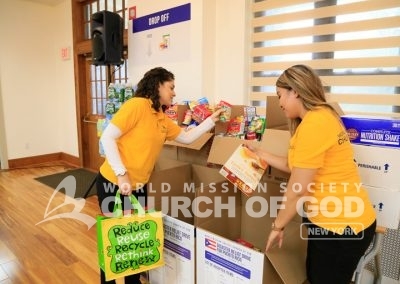 Together with colleagues, classmates, and neighbors, Church of God volunteers in Albany, Buffalo, Long Island, New Windsor, Rochester, Syracuse, and New York City, collected non-perishable foods, medical supplies, and basic necessities. Local neighbors also joined the efforts to help families in Puerto Rico. 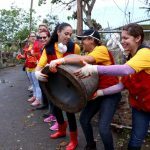 Church of God volunteers from Puerto Rico removing debris in unity during the aftermath of Hurricane Maria. 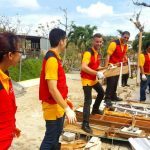 Church members from Puerto Rico removing damaged furniture from a home devastated by Hurricane Maria. Local Church of God volunteers removing debris from a home in Puerto Rico after Hurricane Maria. 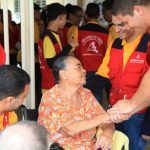 Church of God volunteers consoling a local resident who was affected by Hurricane Maria in Puerto Rico. In Long Island, volunteers even set up a photo booth with a backdrop of the Puerto Rican flag. Holding up a heart-shaped sign that read, “Animo” (Cheer Up), guests took family photos to take home. Others took photos with a coqui-shaped sign that read, “Puerto Rico Se Levanta” (Puerto Rico Rises). 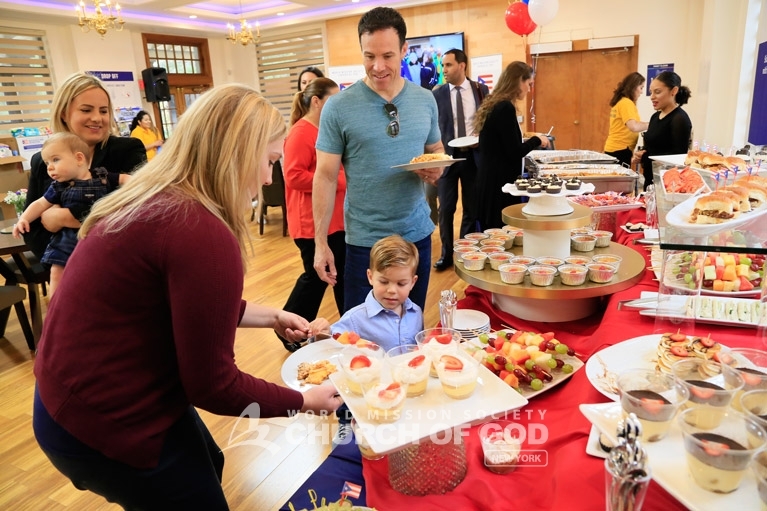 Guests also enjoyed appetizers inspired by Puerto Rican culture. 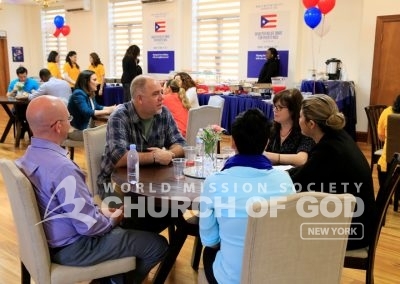 They were also served the famous Puerto Rican dish—chicken mofongo. The volunteers’ efforts to help Puerto Rico in the aftermath of such a catastrophic disaster moved the hearts of everyone who attended. 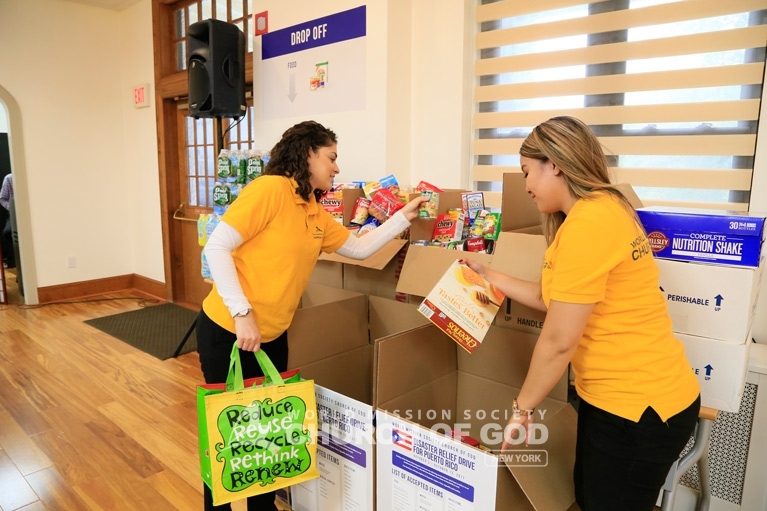 “It’s very beautiful to be able to participate in this drive with the Church. 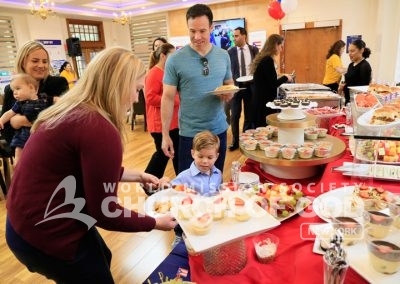 It’s not only affecting Puerto Rico but all of us as a nation,” said one of the guests. This drive was tremendously successful. 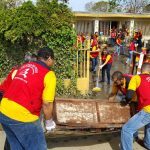 Because they share the same mind and eagerness to help the families who are currently suffering in Puerto Rico, the volunteers, their colleagues, friends and neighbors donated more than what was expected. 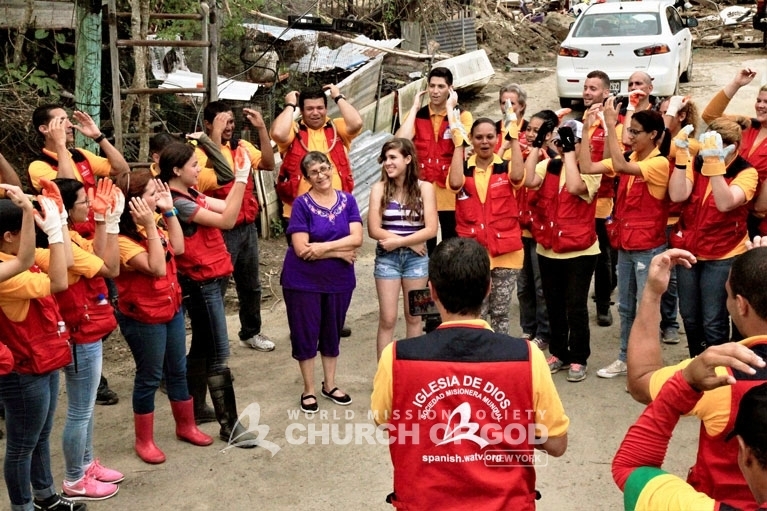 Group photo of Church of God volunteers and their coworkers who donated towards the Puerto Rico Disaster Relief Drive. A father and son grabbing a bite after bringing donations for Hurricane Maria victims in Puerto Rico. Church of God volunteers organizing disaster relief donations to be shipped to Puerto Rico. 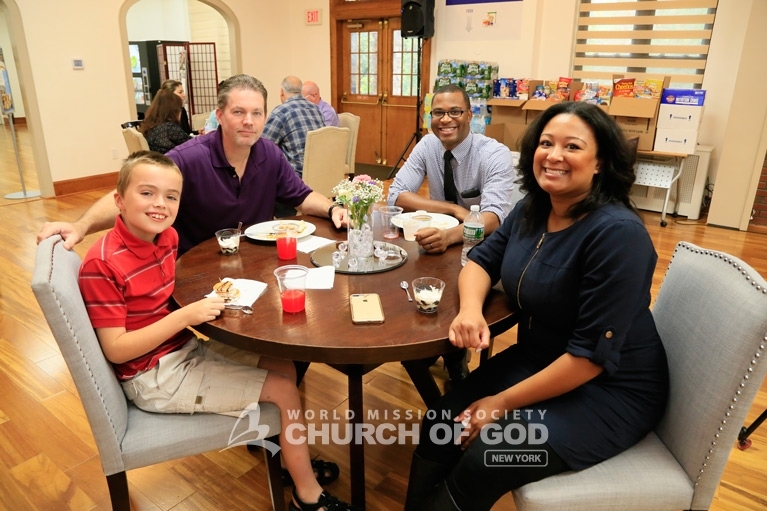 A church member enjoying a meal with her boss who donated towards the Puerto Rico Disaster Relief Drive. 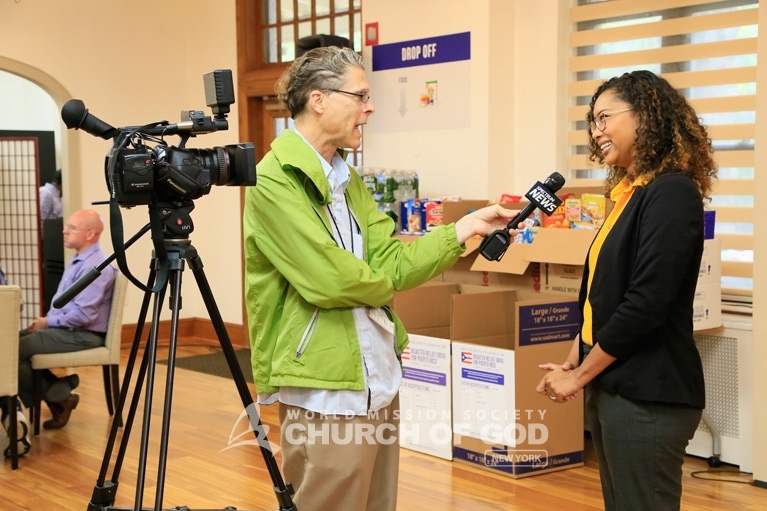 Spectrum News came to report on the Puerto Rico Disaster Relief Drive at the Church of God in New Windsor. The owner of a local gym bringing boxes of donations in from his workplace. 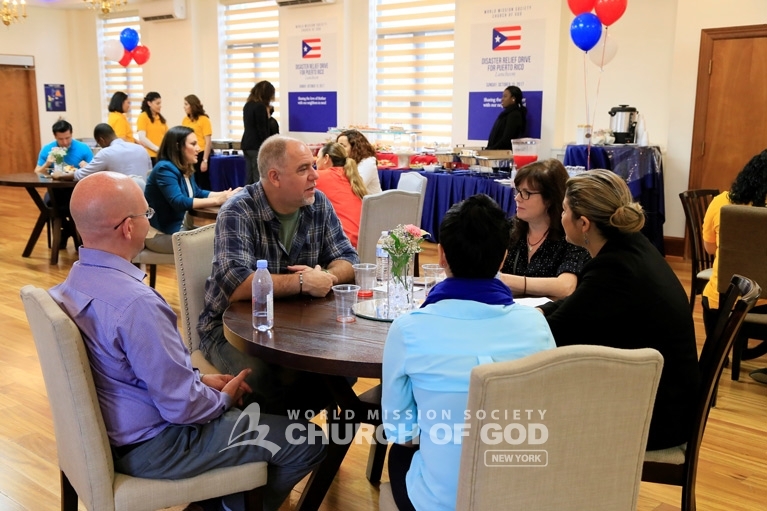 Donors took the time out to write encouraging letters to the Hurricane Maria victims in Puerto Rico. 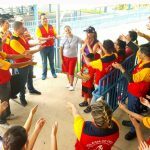 Everybody enjoyed each other's company during the Puerto Rico Disaster Relief Drive. 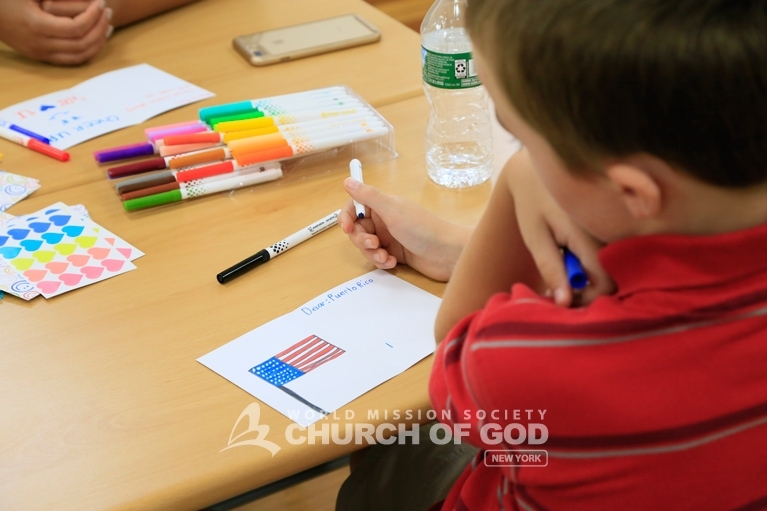 Even the children wrote letters of encouragement to the victims of Hurricane Maria in Puerto Rico. All volunteers are nice and warm-hearted. They united as one and made their efforts to help and comfort the Puerto Ricans who were suffered from the aftermath of catastrophic disaster. It’s very touching. 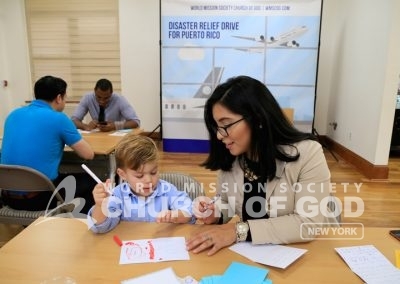 I’m so proud of the Church of God in Puerto Rico for shinning Heavenly Mother’s glory to the whole world even in difficult times. My hearts melts at the thought of the Puerto Rican people going through this horrible disaster. 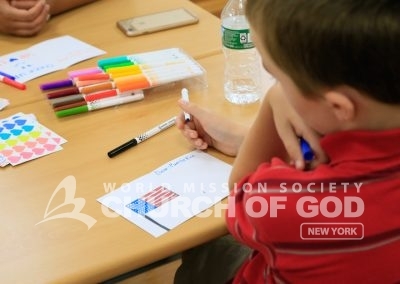 Thank God Elohim for sending the Church of God and to allow the Church of God along with all the participates who helped donate and contributed to help our nation in hard times.